Four millennia of gold coin production and use - a brief history. In about 643 to 630 B.C., the Lydians had started to produce the first coins. They were quite crude, and were made of electrum, a naturally occurring pale yellow mixture of gold and silver. These first coins were similar in composition to alluvial deposits found in the silt of the River Pactolus, which ran through the Lydian capital, Sardis. These gold deposits were believed to have originated by King Midas washing himself in the river to cleanse himself of his "golden touch" which had the inconvenient effect of turning even his food into gold. By about 560 B.C., the Lydians and Ionians had learned how to separate the gold from the silver, so that King Croesus was able to issue the world's first bi-metallic coinage. Bi-metallic in the sense that there were gold coins and silver coins. Shortly afterwards, in 546 B.C., Croeseus was captured by the Persians, who came to adopt gold as the main metal for their coins. The Greeks to the west of Ionia believed that silver should be the main metal used for coins. Following this there have, for most of history, been regions which favoured silver and other nations which favoured gold as their main coinage and currency metal. Where the two existed side by side, then gold was usually considered the more important. In most cases, ready availability of one metal rather than the other exerted a practical influence over the choice. In Britain and elsewhere, a number of Celtic tribes issues coins in gold, silver, potin, and base metals. The Celts were here before the Romans, some became assimilated into Roman civilisation, others moved or were defeated. It is often stated that they left no written records, but this is inaccurate as some of their coins were inscribed. Please see the magnificent Celtic gold stater in our photograph. It bears the inscription "CUNO" an abbreviation for Cunobelin, a chieftain of the Catuvellauni tribe. It constitutes a written record, as do all the other inscribed Celtic coins, however most Celtic coins are unfortunately uninscribed. They also clearly show that the Celts used written language, even if other evidence is not extant. We feel tempted to add the joke that Cunobelin invented his own language which was named after him, although we cannot remember the name of the language, it is on the tip of our tongue! The early Roman Republic issued few coins in gold, their main coinage being in silver, with bronze or copper for small change. From the death of Julius Caesar, gold coinage came to be an important part of the Roman coinage system. The Romans took a very practical view in exploiting natural resources in the areas of their conquest, and issued coins in gold, silver, and copper according to the resources of the region. The gold sovereign came into existence in 1489 under King Henry VII. The pound sterling had been a unit of account for centuries, as had the mark. Now for the first time a coin denomination was issued with a value of one pound sterling. This new coin weighed 240 grains which equals 0.5 troy ounces or 15.55 grams, and was made using the standard gold coinage alloy of 23 carat, equal to 95.83% fine. The obverse design showed the King seated facing on a throne, a very majestic image. It is from this image of the monarch or sovereign that the new coin gained its name - the sovereign. The reverse type is a shield bearing the royal arms, on a large double Tudor rose. One of the reasons for the issue of the sovereign was to imitate similar large gold coins being produced on the Continent, another was to impress Europe with the power, prestige and success of the new Tudor dynasty. For the introduction of this important new coin, and later the shilling, the leading German engraver Alexander of Bruchsal was commissioned. The new sovereign has been described as "the best piece ever produced from the English mint". Alexander came to be described as "the father of English coin portraiture". He also produced the testoon or shilling of which it has been said that "modern coinage begins with the shilling of Henry VII". A double or treble sovereign was also issued for Henry VII from the same dies as the sovereign, but thicker and heavier. These were possibly intended solely as presentation pieces. This first sovereign occurs with a number of minor type variations all of which are rare, currently cataloguing from £7000 upwards. Sovereigns were then struck for Henry VIII from 1509, and a half sovereign was also introduced during his reign. In 1526 the official value of English gold coins was raised by 10%, making a sovereign worth 22 shillings (22/- or 22s. ), and then shortly after they were again revalued to 22s6d. A number of new gold coin denominations were introduced with a lower gold fineness of "only" 22 carat, equal to 91.66%. In 1544 a lighter sovereign was issued, weighing 200 grains, but still in 23 carat gold alloy. Under Edward VI, sovereigns, half sovereigns, and double sovereigns were struck. His first sovereigns, issued between January 1549 and April 1550, were only in 22 carat gold. From 1550 to 1553, "fine" sovereigns were once again issued with a value of thirty shillings, and also a "standard" sovereign at twenty shillings. During the sole reign of Mary, "fine" sovereigns were struck with a value of thirty shillings (30/- or 30s. ), but during her slightly longer joint reign with Philip, no sovereigns were issued. During the long reign of Elizabeth II, "fine" gold sovereigns, with a very high (99.4%) gold content, continued to be issued with a value of thirty shillings. A separate one pound gold coin was also issued, obviously with a value of twenty shillings. In the first coinage of James I, from 1603 to 1604, sovereigns of twenty shillings were issued before being discontinued, the previous pound coin was made lighter and renamed as a "unite". So after 115 years, this was the last sovereign to be issued until the emergence of the modern gold sovereign in 1817. From James I's second coinage in 1604, the sovereign was discontinued in favour of the "unite", also valued at one pound. It was called a unite to mark the unification of England and Scotland upon the accession of James VI of Scotland to the British throne, as James I of England. In 1612 the unite was revalued at 22 shillings, and in 1619 was replace by a lighter one pound coin known as the laurel. The laurel weighed 140.5 grains. The unite was continued in the reign of Charles I, being again valued at twenty shillings, and continued in production during "The Commonwealth", and the early hammered coinage of Charles II until 1662. With the introduction of regular machine made "milled" coinage under Charles II, the guinea was introduced in 1668. It was so called because the gold from which many were made was imported from the African state of Guinea by the Africa Company. The badge of logo of The Africa Company was an elephant and castle (howdah), and this symbol, or sometimes just the elephant appeared on many of the guineas. When the guinea was originally introduced it had a value of twenty shillings, Because of the inflationary effects of war, the value of the guinea soon increased to 21 shillings. By March 1694, it had reached 22 shillings, and in June 1695 reached a peak of thirty shillings. At this crisis point, there followed great public debate, which included figures such as Sir Isaac Newton, as to whether the solution was to devalue the gold coinage or to restore the silver coinage. Restoration won, and 1696 saw a great "Silver Recoinage", at the same time the principle was established that the pound sterling would be a fixed weight of gold, and this principle effectively created the "gold standard". The guinea continued to be the main gold coin until 1813 under George III. In 1816, there was a major change in the British coinage, powered by the Industrial Revolution. The Royal Mint moved from The Tower of London to new premises on nearby Tower Hill, and acquired powerful new steam powered coining presses designed by Matthew Boulton and James Watt. the modern sovereign was born! A new reverse design was introduced featuring Saint George slaying a dragon, designed by a brilliant young Italian engraver, Benedetto Pistrucci. This beautiful classic design remains on our gold sovereigns today, almost two hundred years later, and for most of its life must have been one of the worlds most widely recognised coins. Although the first "banknote", actually a goldsmith's note, known to exist was issued by Laurence Hoare in 1633, and the earliest known cheque was issued in 1659. Paper money did not supersede metal until the second decade of the 20th century. During the first world war, Britain needed gold bullion to finance the war effort. Banknotes were introduced into regular circulation, and within a few years, the gold sovereign ceased to be used in everyday transactions. Production at the Royal Mint stopped in 1917, although some were minted again in 1925. The branch mints continued to produce sovereigns, Ottawa in Canada until 1919, Bombay in India in 1918, Sydney Australia until 1926, Melbourne and Perth Australia until 1931, and Pretoria South Africa until 1932. By 1933, almost the whole world had stopped production of gold coins for circulation. We can find only seven countries which issued gold coins in 1933, and most of those were commemorative, historical, or medallic issues, not intended primarily for circulation. Of these, the lowest listed catalogue value is for Czechoslovakian One Dukat pieces, which contain about one ninth of an ounce of fine gold; their catalogue value is about three times their intrinsic gold value, and we very seldom see gold coins of this date. 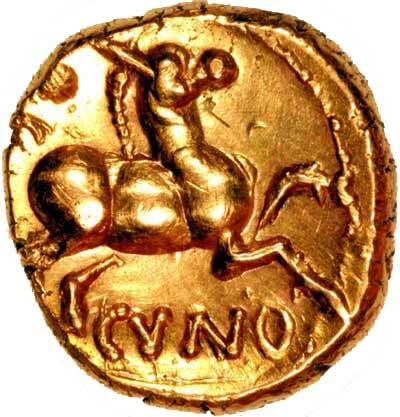 There are a number of other similar dates during which there were very few gold coins minted. A number of countries continued to issue gold coins for purchase by investors in the period from the end of the first world war. This has usually been to supply domestic demand for citizens to maintain a "hedge" against currency fluctuations or failures, and against political upheaval. Central and National Banks will have kept many of the previously circulating gold coins as part of their gold bullion holdings, many will have been melted down, and others will have been re-issued to meet demand. Increasingly from about 1914, gold coins were traded at a premium to their gold content, especially as most countries did not regularly issue any new gold coins. Certain gold coins have been internationally recognised, these include the British gold sovereign, the American double eagle, and the Swiss twenty francs. 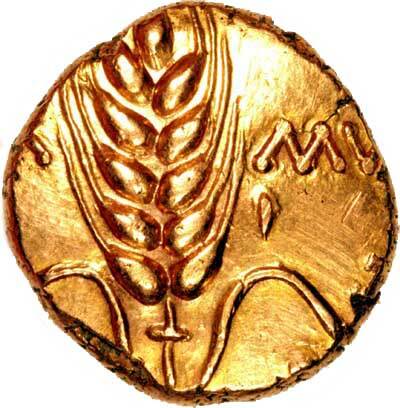 Many other types of gold coins had a popularity within their more immediate neighbouring countries, with linguistics also playing their part in the supply - demand situation. There is an obvious logic and attraction in using gold coins whose inscriptions the owner could easily read. With the introduction of the Krugerrand in 1967, South Africa became the first country to issue a modern, low premium, bullion gold coin. The most obvious attribute of the Krugerrand which clearly contributed to its success, was its convenient and easy to remember gold content - exactly one ounce. Almost all previous gold coins contained odd amounts of gold, which makes it more difficult to know or calculate quickly the precise value of ones investment. Such was the success of the Krugerrand, or Kruger, as it is familiarly known, that many millions were produced. In 1980, South Africa introduced fractional sizes containing a half ounce, quarter ounce, and tenth ounce of fine gold. Numerous other countries also copied the South Africans and produced their own versions of one ounce gold bullion coins, and usually the fractional sizes also. In Britain, no further sovereigns were then issued until 1957, although sovereigns were included in the George VI proof set of 1937 which was available for collectors, and sovereigns were also minted but not issued for Edward VIII in 1937, and for Queen Elizabeth II in 1953. Many countries now issue gold coins to commemorate special occasions, and for sale to collectors. Although the one ounce bullion coins were intended for investment use, there are many who collect them by date and type, some world mints have recognised this, and produce attractive and varied designs in their bullion coin series, together with proof versions. A well designed coin can rightly be considered as a miniature work of sculptural or medallic art.